Famous Smoke Shop, the leading online distributor of discounted premium cigars, specializing in offering the web’s biggest selection of cigars at the lowest prices, has announced the release of "Seven Deadly Sins," a new, handmade premium cigar line blended and manufactured by Plasencia Cigars S.A. in Estelí, Nicaragua. 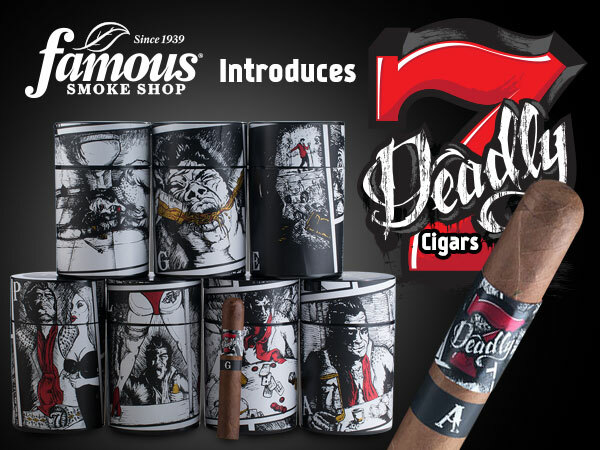 The brainchild of Famous Smoke Shop Vice President of Operations and Marketing, Michael Vandenstockt, and Nestor Plasencia, Seven Deadly Sins represents the online cigar retailer's most ambitious premium cigar marketing project to-date. 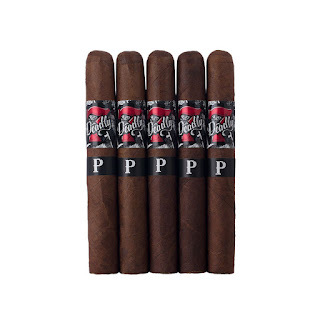 Offered in all seven sins – "Lust," "Gluttony," "Avarice," "Sloth," "Wrath," "Envy," and "Pride" – each vitola has been given its own unique blend. As a whole, the Sins comprise filler and binder leaves from Nicaragua, Honduras, Costa Rica, Brazil, Mexico, and Pennsylvania, while the wrappers, listed in more specific detail below, are from Nicaragua, Honduras, and Cameroon. Seven Deadly Sins also comes with its own story. 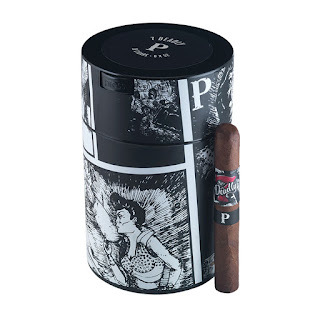 Presented on each cigar's canister in graphic novel form, Seven Deadly Sins tells the story of Drake Scolari, "a good-natured, Midwestern farm boy" with a golden voice who arrives in Las Vegas seeking fame and fortune. His dream is soon realized as he goes from street corner crooner to the sin city's most esteemed Elvis Presley impersonator. Empowered by his newfound fame, Drake's success eventually takes a turn for the worse as he undergoes a gauntlet of trials and tribulations that lead to his tragic demise. 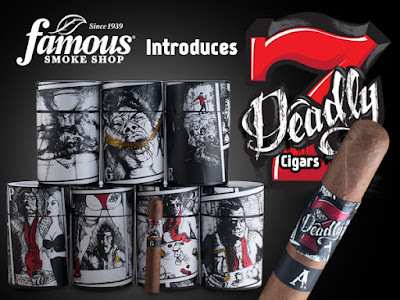 "Each Seven Deadly Sins cigar represents a piece of Drake's rags-to-riches-to-rags story," says Famous Smoke Shop's senior marketing copywriter, Gary Korb, who co-wrote the narrative with fellow marketing copywriter, Jonathan Detore. "Though he shares some things in common with the real life Elvis, we took Drake's story to a much darker and more sinister extreme." "Nestor Plasencia did a fantastic job in blending these cigars," said Mr. Vandenstockt. "Somehow, he found a way to define all seven deadly sins in the most wickedly satisfying way possible."